Casa Rouge A Fine Dinning Experience! 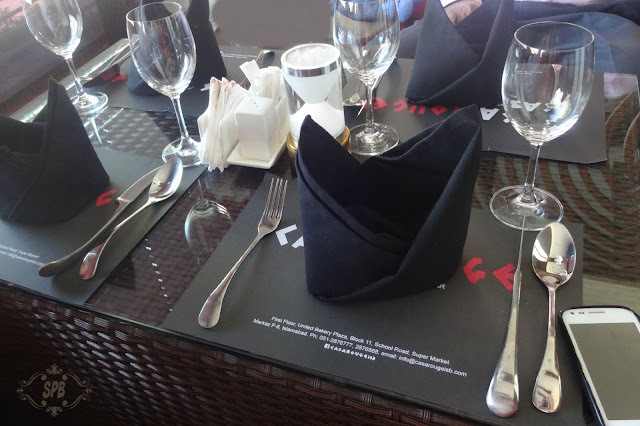 If you are a Foodie searching for continental cuisine or some hot/cold drinks, with exquisite and authentic taste, then Casa Rouge is a Must try new place in Islamabad. Read More to Reveal More!!! 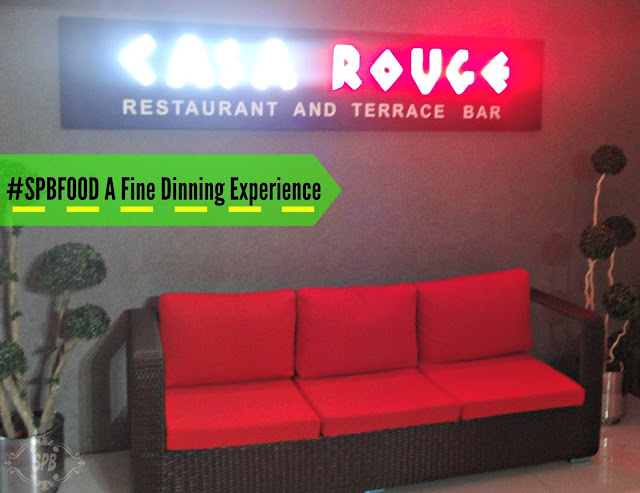 Casa Rouge has a capacity of accommodating 67 people, with 16 tables. The make-shift arrangement can transform the place into an Event venue, anytime. I really liked the variety of furniture, which is hand picked by the owner, Ramiz Tarik, rather exported by himself. Every corner depicts its own mood with its selection of furniture. There are table for four, two and a nice sitting arrangement for a group (at the terrace) and a corner for a lone visitor too. Small get together can be accommodated like bridal showers, birthday parties etc. The whole concept is unique, mainly inspired by roadside cafes of Europe. 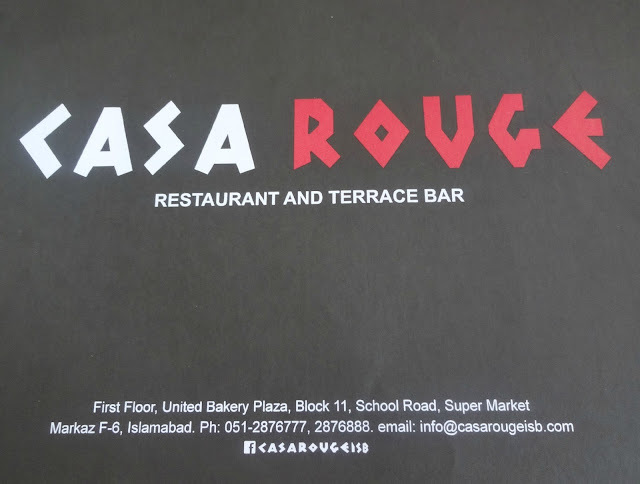 Before we share our mouth-watering experience at this new place in F-6, Islamabad, first floor United Bakery plaza, lets have a look at the wonderfully designed interior of Casa Rouge the restaurant and the airy and spacious Terrace Bar. "Waiter please take my order now"
My Ring, accessories are a must! Enjoying the view while waiting for the Food! When trying a new restaurant always ask for the chef specialties of that day, and according to your own choice or mood place the order we did the same. After placing our order we were presented a basket of Fresh Bun-Rolls & Biscuits with small tubs of butter. Fresh baked and yummy! After a while our main course arrived, I ordered "Thai Green Curry" (Pkr 839/-*) and my husband decided to munch on some Beef steak, so he had "Casa Fire Bestica" (well-Done) (Pkr 1099/-*), with curly fries in side order, Bebo enjoyed them. Hubby had a regular soft drink with his order and I ventured for "Fusion Lemonade (kiwi)". 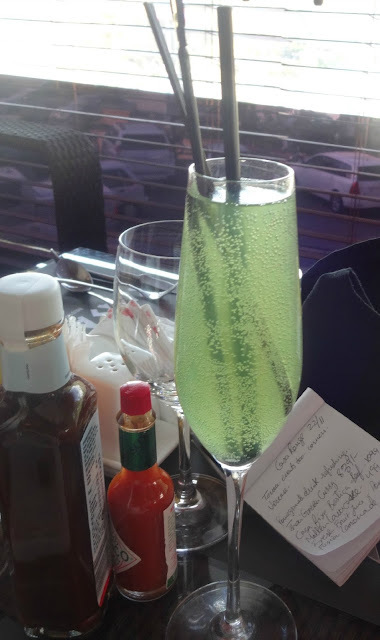 It was fabulous, right kind of fizz with a taste of lemon and kiwi, which enhanced the taste of my food. Beef steaks is a tricky food, but I must say when I tasted it it was perfectly cooked, really well-done! crisp and juicy, drizzled with cheese and served with sauteed veggies and Curly-fries as side-order. I love Thai food for its spicy flavour which is close to our desi choice. Here I must praise the well-cooked rice, it was clear that a special attention is being given to the rice as well, they wee yummy and were cooked in butter, as I could smell fresh butter in it. The Thai Green Curry was yummiest I have ever had. Boneless chicken cooked in a white sauce with green herbs,along with mushrroms and ginger. It was perfectly spiced, not more nor less, balanced. 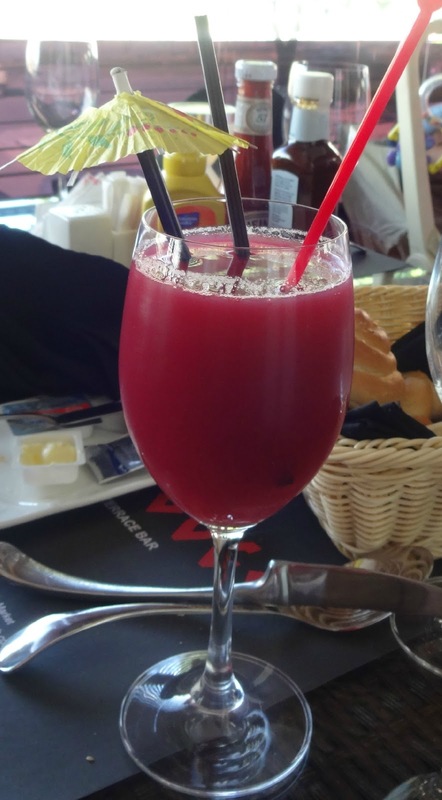 The food was tasty and the serving was generous, reasonably priced. Ill give it all 10/10 from ambiance to serving, to the selection of Menu. The taste of every thing we ordered was unique in its own. Steaks had that grilled aroma and the Thai food was brimming with Thai spices. Drinks were awesome. 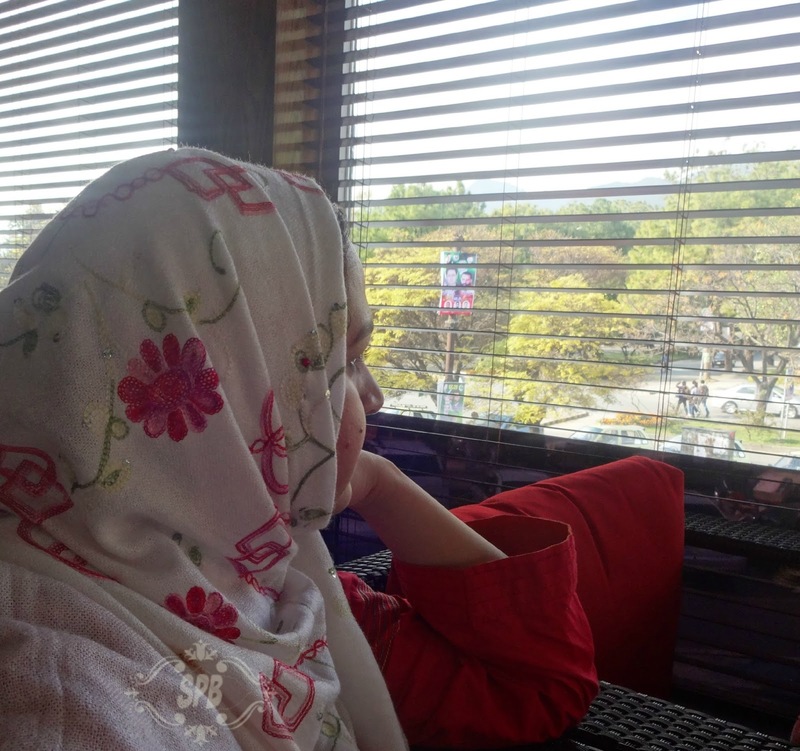 A must visit place #SPBFood recommends it to all living in or visiting Islamabad. In the end we had a chance to chit-chat with the young and ambitious Ramiz Tarik, the owner of Casa Rouge. 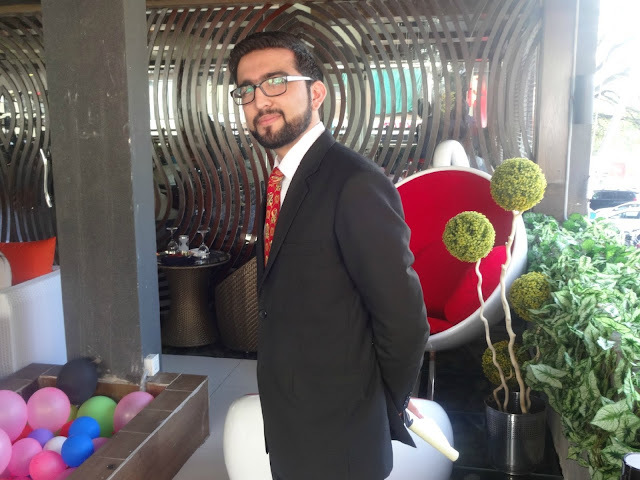 He literally owns the place, as its his brain child, and along with his brother Haseeb Tarik, he planned each and everything about Casa Rouge himself, from the look of the place and every furniture item. Hailing from a business family, he is well equipped with that skills to run such a venture with success. As he shared all the efforts behind Casa Rouge, Restaurant and Terrace Bar, from idea to execution, he showed his prowess and affiliation with his brain child. He felt pride in the way his plans turned out and the place could acquire the look of a European road-side restaurant where people can have all they want from proper continental cuisine to snack and drinks at the bar. 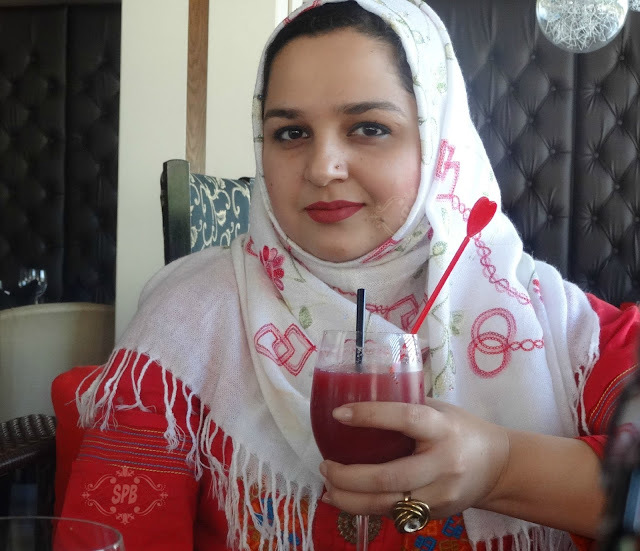 He is very positive about this place and knows that how beautifully this restaurant is placed with a fab view of Margalla Hills. He has a lot of wonderful ideas in his pocket for future as well. Well! #SPB is waiting! and we wish Ramiz and his team all the best for Future. Meanwhile you all must go and check out this place, we highly recommend. * The prices mentioned are exclusive of Taxes. Note: All the pictures are taken by us, which cannot be re-produced and used without our permission. Loving the interior and the food looks yumilicious. Need to check this place soon. Thanks for sharing. This place looks amazing, very nice pictures loved the post.